People evolve and grow over time and so do blogs, it was definitely time for a much needed facelift! I hope thing are working as smoothly and efficiently as possible but if you come across any glitches, I would really appreciate if you could shoot me a quick email or drop a comment so I can fix it. I've also added some new links and stuff like a new Photography Portfolio so please do check that out. There will be some more updates in the future, so stay tuned! Enough said about hosts and domains, let's get back to more important things, THE FOOD! 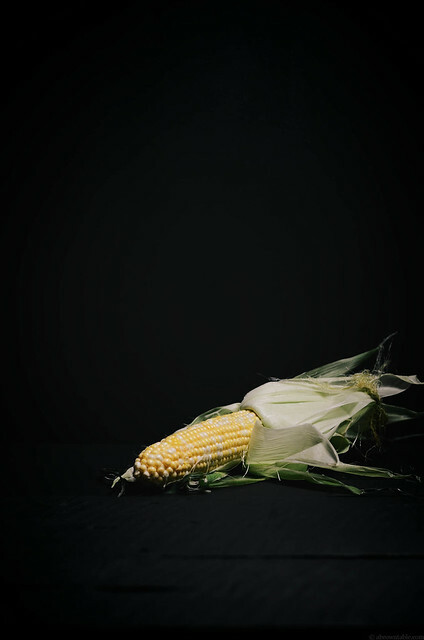 I cooked up some sweet corn for you and this is my all time favorite way to eat it! 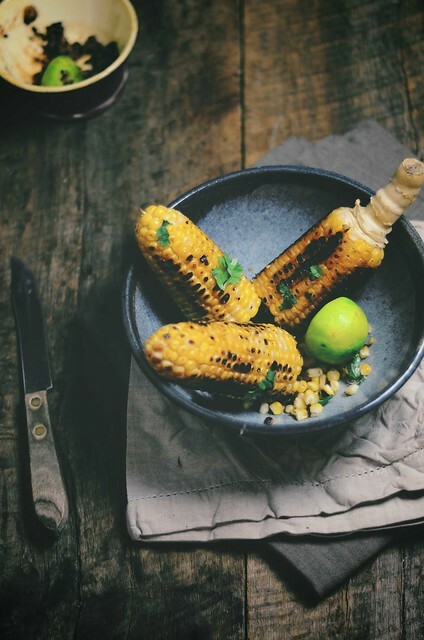 Grilled on the cob and lathered with fresh lime juice along with a simple seasoning of sea salt and hot dried chilies, it's quick and easy and good. 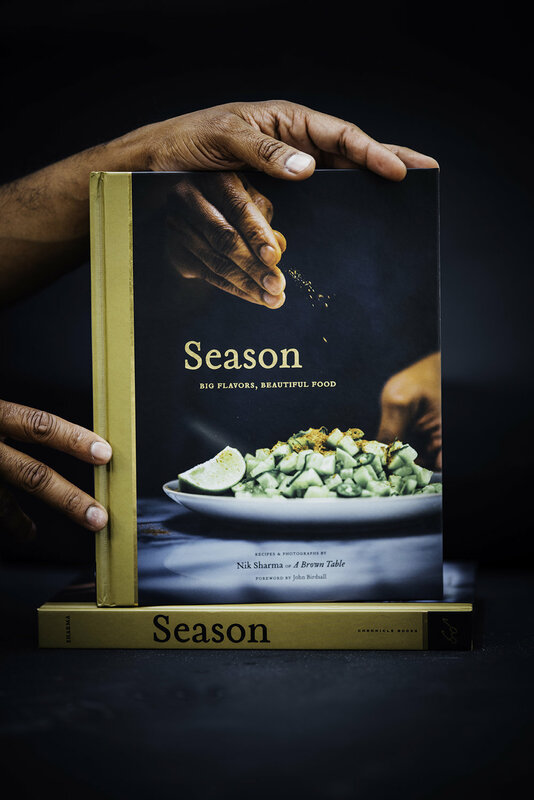 This is exactly the way you would get corn on the cob in Bombay during hot summers with one difference, it's called "bhuta". I picked up these bicolored corn cobs at the Mountain View Farmer's Market, which has quickly become one of my favorite places to shop at in the Bay Area. Plus, Mountain View is also gorgeous with beautiful gardens and homes, so it's always awesome to drive out there. 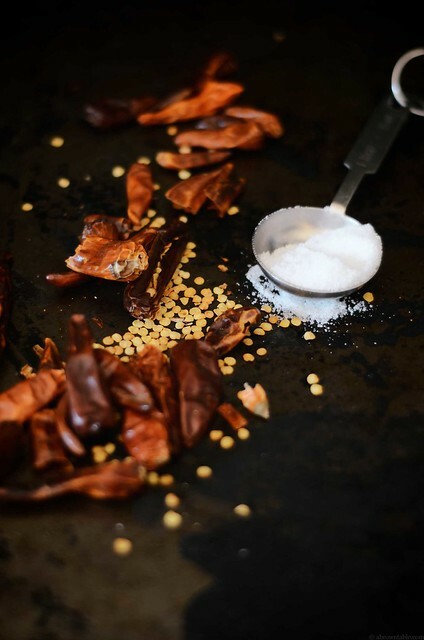 If you can't find Kashmiri chilies (a local Indian/International grocery store will carry them), use any other dried hot chili pepper you love to prepare the spice rub. Serve the cob hot! 2. Grill the corn cob directly on a hot grill. Cook on each side for about 2 minutes or until the kernels begin to take on a shiny golden color and a light char and then rotate until the cob is completely cooked. Remove the corn and keep aside on a platter. 2. Halve the limes with a sharp knife. Dip the exposed, cut end of the lime half into the chili-salt mix. 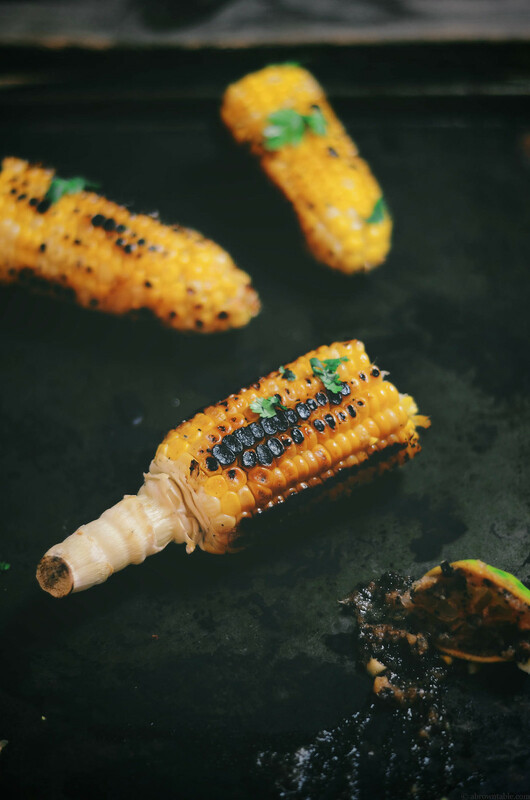 Then using the lime as a brush, lightly paint the hot grilled corn cob with the spice mix. You don't need to overdo the brushing as a little will go a long way here. Garnish with cilantro, if desired. Serve hot and immediately.